How To Choose The Best Roofing Company! Do you think it might be time for a new roof? Here are some things to do to make sure you choose the very best roofing company there is! Google reviews don’t lie. OK, maybe they do if you just see 11 of them, and figure that’s how many cousins that roofer happens to have. But you can’t fake 100 or 200 reviews. If a company gets rave Google reviews—and a lot of them, especially in an industry where customer dissatisfaction is rampant, you know you’re on to something good. Especially in the aftermath of a hailstorm, “storm-chasing” roofers will pop up like mushrooms and knock on every door trying to get business. But in a couple of months, they’ll pack up and leave, and good luck trying to find them if you need any warranty work in a year or two or ten. Go with a local company that has been in business at least 10 or more years: Then you know they’re an established business with roots in the community, and they’re more likely to serve you well. Any company can put on its website “I had a great experience with Bob’s Roofing” and sign it “Jerry S.” (who must be in the witness protection program to not want his last name associated with an endorsement he presumably gave willingly). How many can give you 10, 20, 100 names of previous customers—complete with names, addresses, and phone numbers—so you can call them directly and get an honest, first-hand referral? Most wouldn’t risk it, which is why you shouldn’t hire them. Ask for references even if you don’t plan to call them—just to see whether they start making excuses or readily produce long, long list. Don’t ever trust “ballpark” estimates over the phone or online—they are utter nonsense. Insist that a company come to your home, look at your property, take measurements, and give you an estimate tailored specifically to what you need. Ask about financing—because a well-established company won’t just say “ask your bank.” While we’re at it, make sure the estimate is exclusively in writing, and outlines everything that’s included in the quote, to avoid unpleasant surprises later. Does the person you’re dealing with seem friendly—or just “polite”? Do they show respect for your home when they walk in? Do they ask questions to figure out your needs, or do they throw a canned presentation at you? Are they willing to answer your questions—not just about the roof materials and installation process, but also the company and even themselves? When you have the right person in front of you, someone who is considerate, hard-working, and decent, you can tell. Trust your gut feeling! We hope this has been helpful to you no matter where you live! 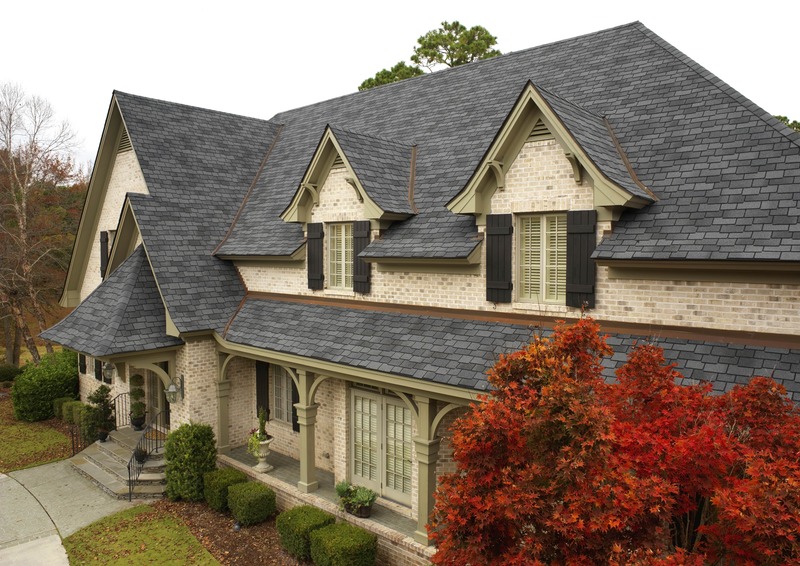 If you’re in one of our service areas, the friendly experts Ridge Top Exteriors would gladly give you a FREE home inspection as well as a NO OBLIGATION estimate for a replacement roof! We appreciate your consideration and hope to have a chance to earn your business!